If you are having vehicle body repairs done as part of an insurance claim, insist on the work being done at a Mercedes-Benz approved bodyshop like Doseley Motors in Telford, Shropshire. It's well within your rights. 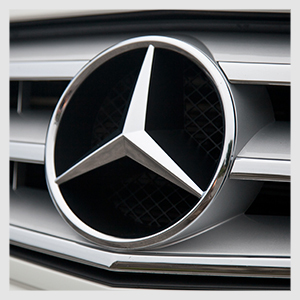 We are a member of the Mercedes-Benz accident repair facility program, which also certifies us as an authorised SMART collision repair facility. We guarantee that only genuine manufacturer parts are used in our bodyshop and that repairs are carried out to the highest standards. What's more, when you use a Mercedes-Benz approved bodyshop you have the added comfort of knowing that all work will be carried out to the standard of Mercedes-Benz. We guarantee a quality of workmanship that will return your car to its original condition.